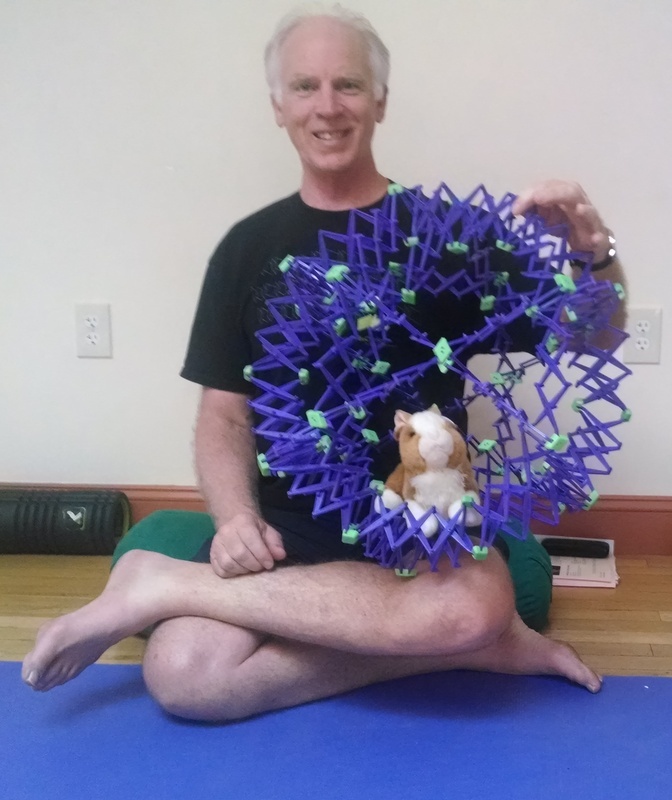 Arthurd the Rabbit explores multidimensional movement with Yoga Master Arthur Kilmurray. Driving to his best buddy’s house. Filling the break between camp and school with a child care swap. Daisy’s mom has them both this day. Thursday is my turn. They’ve reached the age where two is easier than one. But the anticipation is always the tough part with my guy. Are you gonna stay, Mama? No, I’m dropping you off to play. I’ll be back after lunchtime. Thursday, Daisy will come to our house. I have both feewings wight now, Mama, says my shockingly self aware 5-year-old. Da excited to pway with Daisy feewing and the no Mama sad feewing. I haven’t been dere in a while. I want to go and I don’t. I want you to be downstaiws so I can get a hug and den go back and pway. You’ll have fun. And you’ll be sad to go when I arrive. Wiww I say, “but I don’t waaaant to goooooooo”? He serves up an excellent parody of himself. I get on my Yoga Mama soapbox. Put your attention where you want it. Give attention to the “I want to play” feeling. Save the “I want Mama” feeling until I get back and it’s time to go. Tell those ideas they can wait their turn. Did you know your brain can do that? Train your brain to pay attention to what YOU want it to. What you enjoy. With him is the stuffed rabbit Daisy gave him for his birthday. The rabbit now named for my yoga teacher, interestingly. He rings the bell then hides beside the door. Arthurd the Rabbit peeks through the screen. Daisy squeals when she sees us. Her toothless grin shines, I got the same bunny I got you! Two small, lithe bodies now race up the stairs. Two kids, two stuffed rabbits return. This is resonance, 5-year-old style. Wait! Hugs! I give him extra so he has them when needed while I’m away. Then with a bye, I love you, I’m out the door unnoticed.